For your next trip to Dragonstone. Tag your bag with the three-headed fire-breathing dragon sigil of House Targaryen! 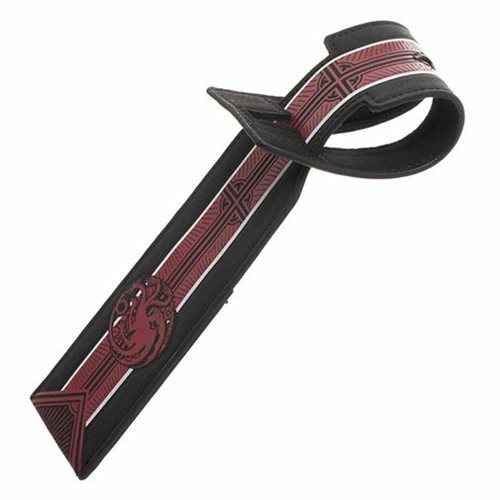 A unique, easy-to-spot attachment to your luggage, briefcase, or duffle, this Game of Thrones Targaryen Luggage Tag is made of PU, measures about 10 1/2-inches long x 2 1/10-inches wide, and features a screen print with emboss.